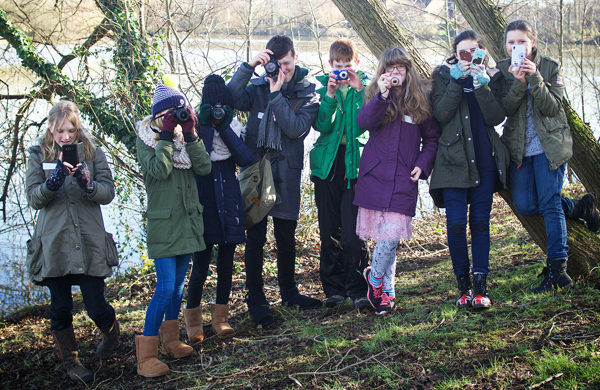 Photography Workshops for tweens & teenagers » Creative Photography Workshops in Surrey – learn how to love your camera! Does your child love taking photos? Would you like to encourage their creative thinking and imagination in a really enjoyable and fun way? The #PictureIt children’s workshops are aimed at kids aged 11-15 years old who want to have fun with their camera and learn new creative skills so they can capture images to be proud of! Taught by a professional photographer (and mum-of-2 herself), the aim is to inspire and educate in a very practical way, plus engage your child’s imagination by encouraging their own individual style and way of ‘seeing’ the world around them. In today’s digital world, kids are much more into photos than ever before… learning photography as a hobby is a fantastic way for them to express themselves and it can be SO much more than just selfies and snapshots! Learn to…. #PictureIt. Capture It. Love It. Begin to learn the basics of creative photography & going beyond an average snapshot whilst having tons of fun with your camera! Your child will need: a smartphone or camera, clothes suitable for whatever the weather is doing and decent footwear so they can explore everywhere properly! • Lots of fun & self-confidence-building! Book a place as a gift and receive a beautifully gift-wrapped voucher which has your personal message printed on AND with free P&P. I’ll email you a digital proof of the voucher for you to see before posting it out. If your child loved the Beginners Workshop and wants to explore photography further, this one’s for them! We’ll carry on encouraging their creative thinking and imagination in a really enjoyable and fun way… the format will be to talk, walk & learn! This Photowalk will be around Pirbright green – where we have many different visual interesting things around, from brightly coloured backdrops, to woodlands, to the duck pond, to the park. We’ll be focussing on looking at capturing motion in different ways in all these settings. If you would like to be added to my e-news list to be the first to hear about new dates, please let me know: info@kerryjphotography.co.uk and I’ll be happy to add you.